The first general conference of the ARDUF/ UGUUGUMO was held on October 27, 2018, in Brussels, Belgium. It brought together the Afar Diaspora from different European countries. The Objectives of the conference were: to explain the Vision, Mission, and Objectives of the UGUUGUMO to the Afar Diaspora; to encounter the documentary evidence and fact-based report prepared by the ARDUF/ UGUUGUMO and inform the Afar Diaspora of the financial corruptions, judicial injustice, maladministration and gross human rights violations perpetrated by TPLF former child soldiers (locally known as AADE (T-QAADE), the servants of TPLF in the Afar region; to learn about the political, economic and social problems and human rights violations faced by the Afar at the hands of TPLF Servants from videoed complaints by the Afar people themselves; to make the Afar Diaspora the focus of ARDUF/ UGUUGUMO’s activities, as well as encouraging them to get involved in the decision-making process of the ARDUF/ UGUUGUMO as the legitimate political Organisation that has fought for their freedom, justice and democracy for many decades; to receive the advice, recommendations, and suggestions that enable ARDUF/ UGUUGUMO to develop and strengthen its organisational structures and struggle, and to fully take part in the ongoing democratic reform and change process lead by Dr. Abiy Ahmed’s government in the country. THE PARTICIPANTS paid tribute by remembrance to honour the dignified ARDUF- UGGUGUMO freedom fighters who sacrificed their precious lives for the Afar freedom in the Afarland. ARDUF/ UGUUGUMO EXPRESSED its commitment to providing unquestionable, unwavering and unconditional support to the ongoing democratic reform process initiated by reformist Dr. Abiy Ahmed. This process, to make Ethiopia a real democratic country where the rule of law protects the rights of all citizens, and all citizens are viewed as equal under the law, would maintain law and order, and limit the power of governments at both federal and regional state levels. ARDUF/ UGUUGUMO AFFIRMED it is standing strongly with the Afar Youth (Xukko-Cina) in their commitment towards peaceful demonstration to demand comprehensive reform in the Afar Regional State towards freedom, democracy, equality, peace, and prosperity in the Afar region. Participants asserted their continued support of the Afar Youth protest until it achieves its goals while emphasizing peace and unity for Afar society. PARTICIPANTS strongly condemned and are gravely concerned by ongoing human rights violations against these peaceful Afar Youth demonstrators, including arbitrary arrest, detention, unlawful imprisonment and enforced disappearance committed by the TPLF, and overriding Afar Region police forces. WE ARE CONVINCED that the ongoing political instability, injustice, inequality, human rights violations, economic and social hardships that are experienced by the Afar people in the Afar Regional State are chiefly generated by poor and undemocratic governance, rampant corruption, lack of accountability and judicial bribery perpetrated by the former child soldiers of TPLF. ARDUF/ UGUUGUMO and the Afar Diaspora confirmed that they are against the nepotism, corruption, undemocratic rule, discrimination, tribalism, judicial injustice, maladministration and lack of accountability of the Afar Regional State. WE ARE CONCERNED that the Afar people in the Afar Regional State live in constant fear of persecution, harassment, intimidation, arbitrary arrest and unlawfully imprisonment or even death at the hands of the TPLF’s Intelligence and Police Services. We believe that there will be no lasting peace, stability or development in the Afar Regional State unless the Issa’s illegal settlements are totally dismantled and their illegal inhabitants relocated to their place of origin. ARDUF/ UGUUGUMO and the Afar Diaspora equally share the conclusions and decisions reached after intense debate and discussion, that the participants have taken historically significant decisions and concluded successfully. THE CONFERENCE CALLS on the Afar Regional State President Hajji Suyyum Awal and his Cabinet to step down and resign immediately from all of their duties and positions, allowing a hand over of the Afar Regional State authority to the Afar Regional Parliament, facilitating the urgently needed democratic reform and change in the Afar Regional State, and an immediate, peaceful transition to democracy. THE CONFERENCE CALLS further on the Afar Regional Authorities to desist from further violence and arbitrary detention, unlawful harassment, and enforced disappearances and to respect the fundamental freedoms of the human and democratic rights of the Afar people. 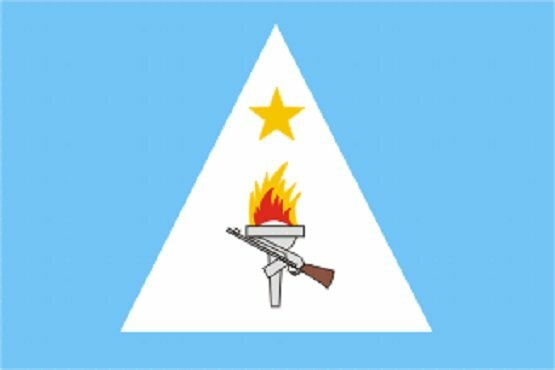 THE CONFRENCE CALLSon the residents of the Afar region to take part in the Afar Youth peaceful demonstration campaign demanding freedom, justice and democratic reform in the Afar Regional State in order to dismantle the current dictatorial regime of TPLF servants. The Conference calls on the Afar Regional State authority to immediately release all political prisoners and those who were allegedly detained, arbitrarily arrested and unlawfully jailed by local security forces upon the order of TPLF’s Intelligence Services. THE CONFERENCE CALLS on the Federal Government to dismantle the Issa tribe’s illegal settlements established in Adaytu- Qunxa-Foqo, and Gadamaytu by TPLF regime between 1991 and 1994. THE CONFERENCE CALLS on the Federal Government of Ethiopia to take legal and ethical responsibility to stop the gross violations of human and democratic rights and crimes committed by Afar Regional Police forces against the peaceful Afar Youth protesters (XUKKO-CINA) who are demanding democratic reform and change in the Afar region as it has occurred in other regional states in the country, and to support the legitimate demand of the Afar people for freedom, justice and democracy. ARDUF/ UGUUGUMO would like to take this opportunity to express its respect and gratitude to all Afar Diaspora in general and Belgium Afar Diaspora and Qasa Badih Xongolo Media in particular for their friendly accommodation, contribution, and support they have given us to enable us to organize such a productive and educative Conference in Brussels. Working together to build a country of lasting peace and prosperous with a shared future for all peoples.